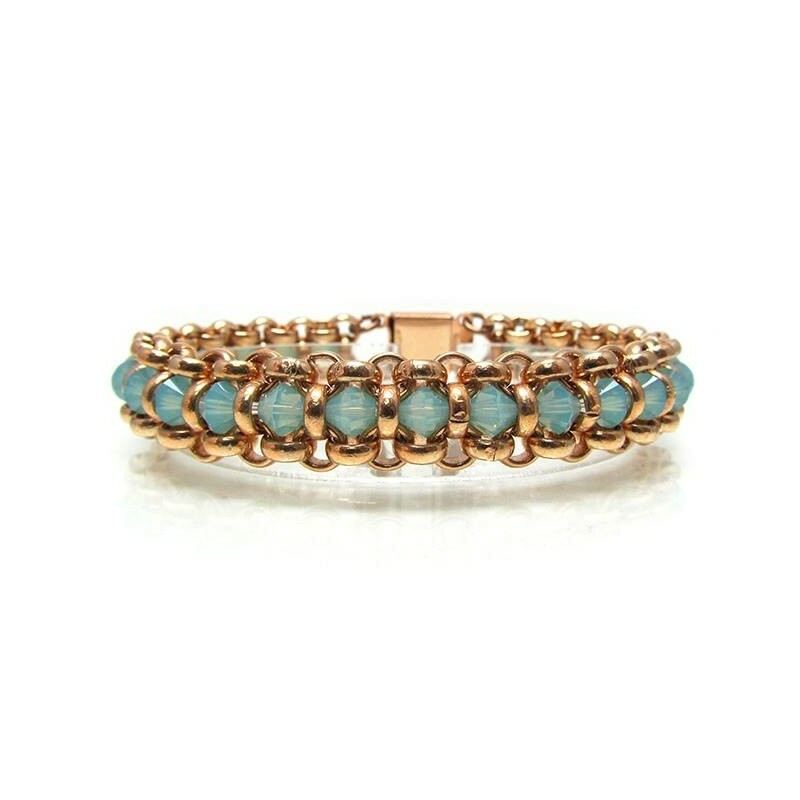 Blue Opal tennis bracelet with rose gold. 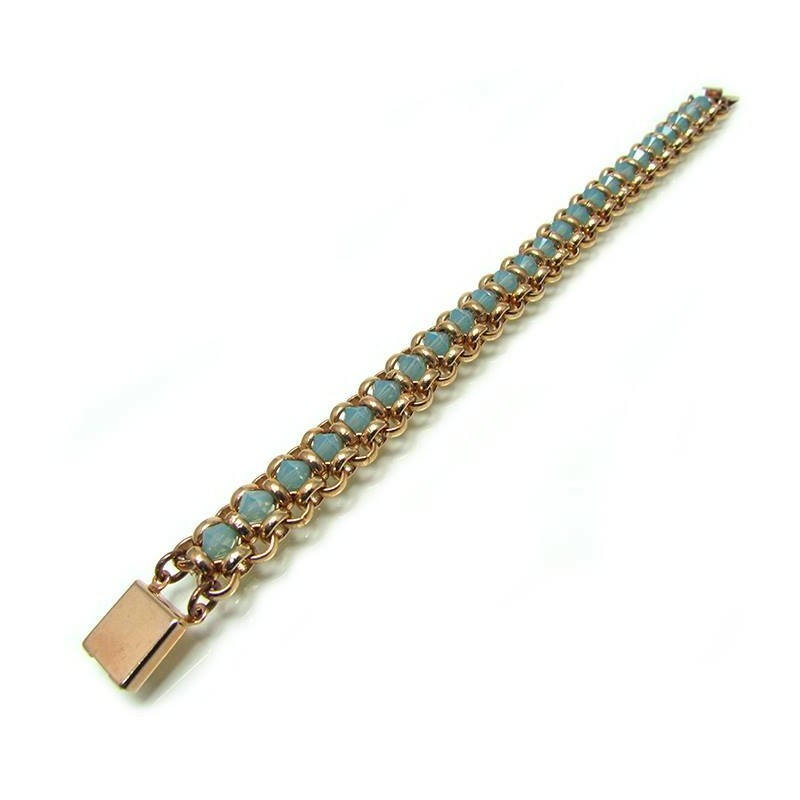 Fine beaded bracelet made of Swarovski blue opal crystals and rose gold links. 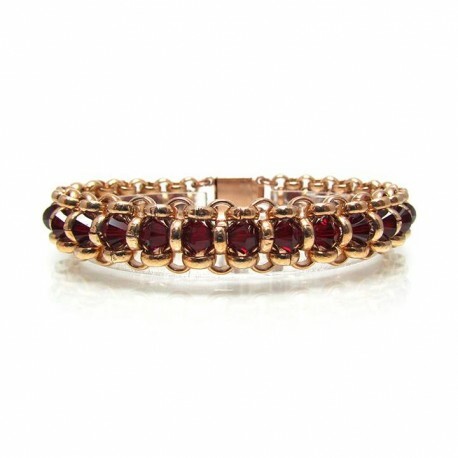 This design is also available in rose gold and ruby beads. Each bracelet Length: 8" / 19 cm approx. 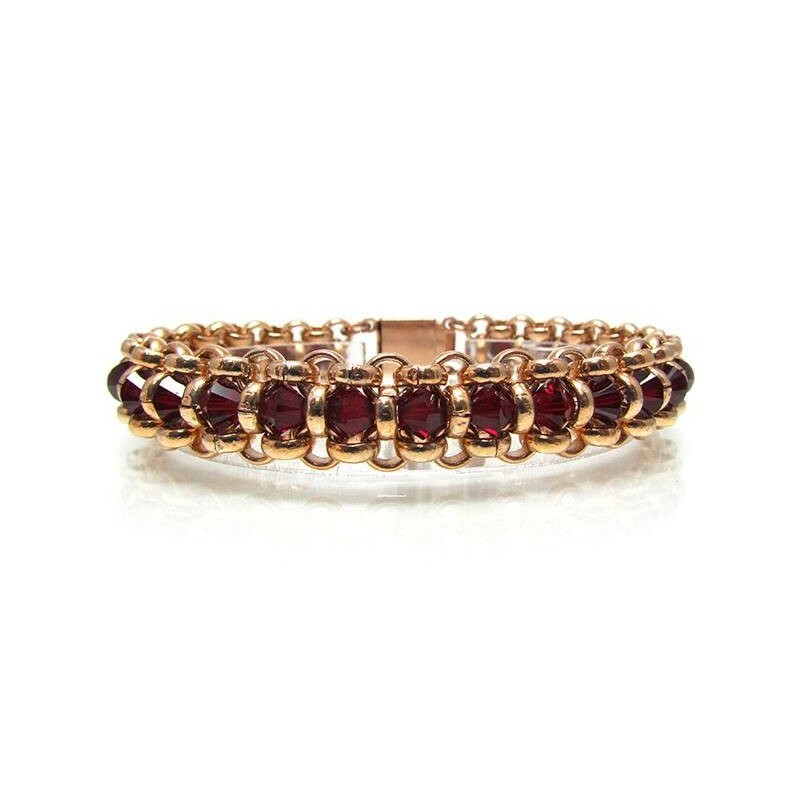 Each bracelet Width: 0.4"/ 1 cm approx. Blue opal tennis bracelet, an elegant combination that makes your look fashion and trendy.